Providing facility needs for institutional, industrial, and commercial industries. 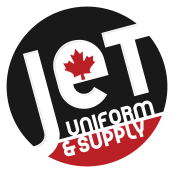 JETÂ brings more to your company than simply ensuring clean uniforms or stocking your restroom. Our services help you save money and time while providing you with durable, quality products so you can focus on your business. Durable and heat resistant work clothing. Hard hats, safety glasses, hearing protection, and more. Wide range of uniforms and work clothes for specific industries. "Green" industrial cleaning supplies, plus delivery and restocking. We deliver and replace shop rags and cleaning rags. We work with your institutional supply and services department. Uniform and coverall cleaning with 48-hour turnaround time. Uniform rentals with inspections, mending, and cleaning. Includes branded mats, safety mats, and floor protection mats. Embroidery services for uniforms and custom patches. Superior uniform and coverall repairs for lasting durability. We issue, collect, clean, mend and track your entire team's coveralls.